Patrick Carroll, CEO of the Atlanta-based Carroll Organization, talks with MHN about the multifamily discussion that took place at the Global Real Estate Institute's annual U.S. gathering in New York. Patrick Carroll, CEO of the Atlanta-based Carroll Organization, recently served as co-chair of the multifamily discussion at the Global Real Estate Institute’s annual U.S. gathering in New York. 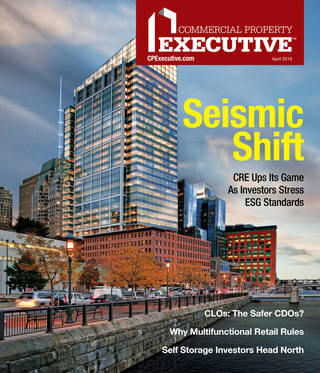 He talks with MHN about the discussion that took place, and about the discussions taking place in the red-hot sector of multifamily. MHN: Can you tell us what you learned from this discussion? Carroll: What I learned is there is a lot of money to be placed, both on the debt and equity side. Deals are starting to get competitive again, especially in core markets—D.C., New York. Austin, Texas is very hot. Equity is starting to go in the secondary and tertiary markets. But whereas last year they only wanted to be in New York, Chicago and D.C., now they’re willing to do more Atlanta, Tampa, more secondary markets. On the debt side, life insurance companies are back in the game in a big way. Banks are back in a big way. And rents and occupancies are both up very much. It’s been a very quick turnaround. MHN: Was there any discussion about what’s happening internationally as far as investing goes? Carroll: International investors are active again in the U.S. They’re looking to make deals in the U.S. again. There were groups there from all over looking to place money in the U.S.
MHN: Were there any competing views on your panel about what’s happening right now? Carroll: The San Francisco guys were digging their heals in and saying that the supply-constrained markets of San Francisco, Los Angeles and San Diego were good markets to focus in on. Whereas we do the Southeast and D.C. and Texas, so we’re saying that we’re starting to see opportunities there. In Atlanta and parts of Florida that really got hammered, we’re starting to see a better value there. MHN: What were some of the things that the panelists may have taken away from this discussion that they didn’t know going in? Carroll: That it’s definitely a global playing field. If you have an equity relationship, you can take that to Brazil or India. All these equity groups and sources we’re dealing with now play on a global platform. I think that’s positive. 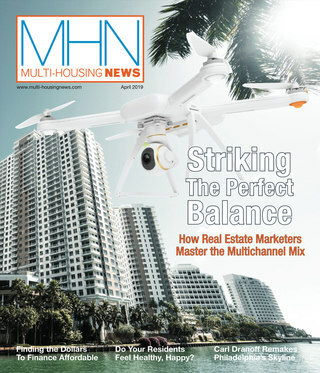 MHN: With everyone so excited about multifamily right now, what kinds of shifts are you seeing? Carroll: There really has been a change in ownership mentality. I have several guys who are analysts for us, who are 28 years old, with no ambition to own a home anytime soon. I bought my first house when I was 22 years old, got a 100 percent mortgage, put no money down. Those days are over. It’s a long-term trend setting in, where renting an infill apartment with all the bells and whistles, I think that’s a kind of lifestyle change. MHN: What are you and your colleagues doing differently than you were five years ago? Carroll: We are definitely focusing more on infill, transit, and then technology. Everything from our property management company to our acquisitions is up to date on technology. We’re on Facebook with our property management platform. All the acquisitions or developments we do have technology integrated into them. I’d say technology has been the biggest change. MHN: Do you do a lot of work with affordable housing? Carroll: Yes, 30 percent of our portfolio is affordable. A lot of that is third-party management, but we also buy. There’s a huge demand for that. With that, it’s more about preservation. A lot of these deals were developed 10 or 15 years ago and are coming out of their compliance period. We’re buying those and taking them back through the affordability compliance, putting them back into the affordable program. That’s really big in markets like D.C., Atlanta, parts of Texas. MHN: As the government looks at cutting funding for federal programs, what are some of the programs for affordable housing that you’d really like to see stay in place? Carroll: Section 8 is probably the biggest. We have waiting lists of probably 2-300 people at each one of our Section 8 properties. There’s clearly not enough supply to meet the demand. And also the voucher program. Obviously HUD plays a big part in all that. I think the demand there is going to continue in a big way. MHN: What are going to be your big challenges going forward? Carroll: Our biggest challenge is getting the right opportunities. When you have 30 or 40 people bidding on a property, the price becomes unrealistic. Finding opportunities where you can get a good return—that’s probably our biggest challenge right now. Capital’s abundant, so on the debt and equity side, if you have the right deal, you can get it done in a heartbeat. And of course Fannie and Freddie. You don’t know what’s going to happen with them. An issue there or interest rates going up substantially would really throw a wrench in everything. MHN: With Fannie and Freddie, it seems like both the Democrats and Republicans are talking about phasing them out. Obama’s talking about doing it in 10 years, and the Republicans are saying, let’s do it in five. What would be your best hope for the GSEs at this point? Carroll: The longer the better. Whatever happens with them—if they go away in five or 10 years—it’s just going to raise rates. So if private sources of capital come in, which they will, to take up the lending demand, they’re just going to do it at a higher price. That will drive cap rates up and really screw up a lot of these acquisitions that are getting done right now.